The job cuts are part of a reorganization announced in September as Starbucks tries to streamline operations. Starbucks laid off about 350 corporate employees Tuesday, an expected wave of job cuts associated with a reorganization announced earlier this fall. The company, under pressure to accelerate sales growth and in the midst of a multiyear changeover of its top leadership, spent the fall engaging in a function-by-function review of its corporate teams, beginning with senior vice president and vice president levels. 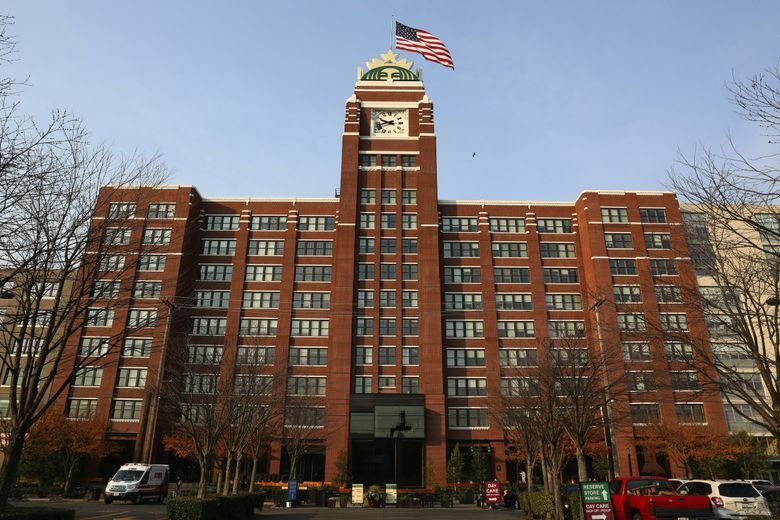 Most of the job cuts were expected to hit employees — or partners, in Starbucks’ parlance — at the company’s Sodo headquarters, where about 5,000 people work. No layoffs at the retail store level were planned. An undisclosed number of senior executives were let go in September, though the company did not provide specific details. One laid-off employee, speaking anonymously to protect her prospects as she looks for a new job, said Starbucks gave her an hour to turn in company equipment and leave the building. Her manager was not aware she was being let go until she handed back her identification badge. The employee, who had been laid off by the company in 2013 before rejoining, said this practice was a stark contrast to her experience during the earlier round of cuts, which included more advanced notice, an opportunity to say goodbye and tie-up loose ends, and an exit interview with the human resources department. Starbucks is trying to streamline its operations and narrow its priorities. In addition to job cuts, the company has spun off parts of its European business and struck a deal with Nestle for the marketing of consumer packaged goods, among other changes. Chief operating officer Rosalind Brewer alluded to some of the organizational changes after the company reported improved fourth-quarter sales growth on Nov. 1. She said certain marketing, customer and employee analytics efforts had been combined, yielding a smaller, better-informed group that was leading to faster decision-making. She also noted the corporate leadership’s commitment to shareholders to reduce general and administrative expenses — the daily operating costs of running the business — as a percentage of sales. Indeed, increasing shareholder returns has been one of Johnson’s strategic priorities. The company is in the midst of a $25 billion program of dividends and share repurchases, including $9 billion in its 2018 fiscal year. “That’s how you increase shareholder value — pay Boston Consulting $10 million and lay off a bunch of people,” the laid-off employee said. Before these layoffs, Starbucks transferred more than 500 employees to Nestle in the U.S. and Europe as part of that $7.2 billion deal. Starbucks stock slipped 50 cents, or 0.7 percent, to $67.41 Tuesday.